If you buy a new phone be sure you know how long should you charge a new phone. The biggest problem of new phones is battery lifespan, most of them barely surviving with only one charge through a whole day. Taking care of the battery from the first day will extend it’s life and go a full day without recharge. 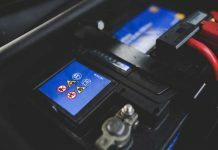 According to Battery University which is a respected site in this area, actual Lithium-Ion batteries are not so good a they are stressed because the way we use to charge them and the complete wrong usage patterns. 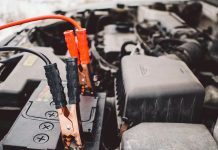 According to battery experts it is totally wrong to charge Lithium-Ion batteries over the time needed for a full charge. They discourage especially charging the phone over night which would most of the times keep the phone on charger long after the battery has reached a full charge level. Have you heard of “Trickle Charge”? How Long Should You Charge A New Phone to avoid trickle charge? When the phone is on charger and the battery has reached 100% charge, the charging process stops. Still the power controller inside the phone will trigger short bursts of current through the battery to keep it charged and compensate for phone’s consumption. This way of maintaining the battery on full charge is called “trickle charge” and it the most stressful process for your new phone’s battery. Even if the phone is turned off the “trickle charge” is still affecting your phone’s battery. There is one thing to do to avoid “trickle charge”. Disconnect the charger once the phone shows 100% charge. 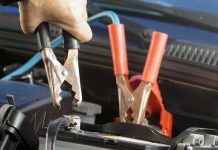 It doesn’t matter if your battery is brand new or already has one or two years. Lithium-Ion batteries should not overcharge, ever. Is the myth that lithium-ion battery may explode if charged a long time real? Yes, some myths on lithium-ion batteries are real. One of those myths is saying that if you leave your phone (lithium-ion battery inside) on charger over night it may overheat or worse, explode. This actually happened so be warned. Some modern smartphones have smart battery charging controllers which will avoid such a mess. Still some, low quality, no name smartphones, made with questionable components could develop overheating, inflating and even explode if left on charge for a long time. 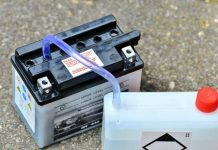 Also called priming a new battery, the formatting process means a special battery charging procedure which would extend it’s life. So, how long should you charge a new phone to to format the battery? While this would be recommended on another battery types, lithium-ion do not need any formatting. In fact all lithium-ion battery manufacturers disagree on formatting the new phone battery and state loud and clear that their batteries are good to go from the first day. New phone Lithium-Ion battery do not require any maintenance process and are working from the moment it leaves the factory. A full charge followed by a full recharge would only weaken such a battery. 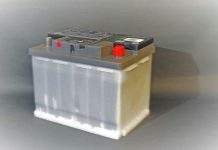 As opposite, it is recommended to charge Lithium-Ion batteries in short reprises, avoiding full charge/discharge cycles. 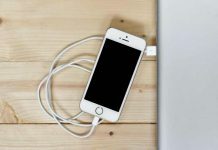 Please read my next article on how often should you charge your iPhone where you can find some more tips on extending your phone’s battery life. To conclude, if you bought a new phone just plug it in for the first time, wait for 100% battery level then have fun and enjoy your new gadget. You Don’t need to worry on how long should you charge a new phone. Lithium-Ion batteries are made to work without intervention.